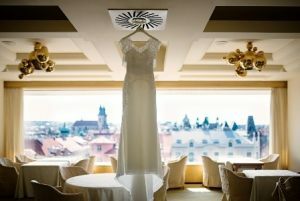 My husband and I celebrated our wedding at the Zlata Praha on August 30 and we would like to express our deep appreciation for Lucie Skricilova’s outstanding customer service and organizational skills during the preparation phase of our wedding and the day of the wedding. I initially visited the Zlata Praha in January of this year and met with Lucie, who was so kind to meet with me after 21:00 on a Saturday night due to my late arrival to Prague. 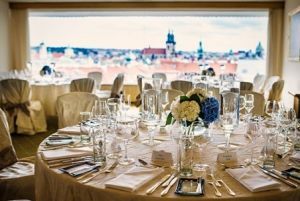 Not only was I impressed with the beautiful location and view but Lucie’s genuine desire to make our wedding at the Zlata Praha special and unforgettable became immediately obvious to me. 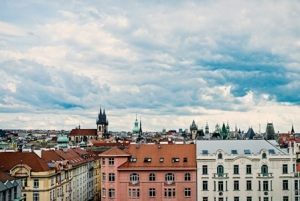 We had looked at five other hotel locations before in Prague and it was Lucie’s kindness, professionalism, and creativity that made the decision very easy for me to go with the Intercontinental Hotel. In June of this year, we came to the Intercontinental Hotel for sample tasting of the menu & the drinks for the wedding. Lucie welcomed us with a glass of champagne on the beautiful terrace of the Zlata Praha – just like we had planned to do with our guests on our wedding day. It was the perfect start into a wonderful evening. We thoroughly enjoyed sampling the menu and were very impressed by the outstanding service of the staff of the Zlata Praha. This evening strongly reaffirmed my feeling that with Lucie at my side, I would not need to worry about anything with regards to our wedding. As you can imagine, this is an extremely important feeling to have for a bride-to-be. the very positive experience they had. Our friends and family speak very highly of Lucie and the wonderful service she provided. It is my pleasure to write this letter of recommendation for Lucie because I can truthfully attest to her excellence in customer service. 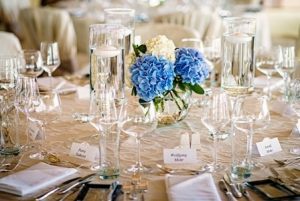 Our entire experience from arranging all the food, beverages and accommodations to the prepayment and billing was excellent. In Lucie you have a true asset and someone who goes above and beyond to exceed her customer’s expectations by ensuring quality of service and by displaying an unparalleled sense of pride in serving others. We will always remember the wonderful wedding we celebrated at the Zlata Praha and Lucie made it all possible.